We strongly suggest that you clean your furnace every autumn, but if you weren’t able to get to it until winter this year, it isn’t too late. Sediment buildup can cause your system to work less effectively and can eventually become a fire hazard. An inspection and cleaning will keep it working in top shape for years to come. Another basic furnace maintenance step is replacing the filter. You should know what kind of filter your system uses and how to do the replacement. We often open our vents to let fresh air in, but now is definitely the time to track them down and make sure they have all been closed again. 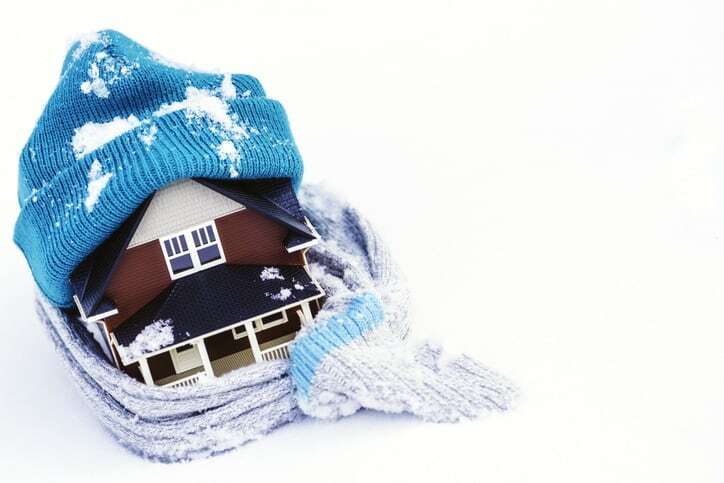 Winter heating costs add up, and basically at the heart of any winterizing activity to keep costs down, buttoning up the house is the main idea. Weather-stripping and caulk should be used to make sure there are no air leaks. Prime places for leaks are garage doors, windows, and door frames. As part of a seasonal checklist, make sure you look for any damage on these parts of the home and replace as appropriate. Freezing water can burst pipes, and damage water systems. Clean out all gutters and disconnect and drain all outside hoses. If possible, shut off outside water valves. There are also insulated covers you can purchase to keep over your water valves to winterize them. Insulate walls and attics well. We can help you if your home is older with getting newer, efficient insulation installed. During attic inspections, it is a good idea to look for and repair any roof leaks. Tree branches are another roof danger that could cause real problems if they become weighed down with ice or snow and fall on your house. Take steps to trim them up before they crash through and cause a real winter nightmare. Insulation isn’t the only thing that may be out of date. Today, there are programmable thermostats that can let you track and remotely adjust your home’s temperature. Again, please give us a call if you have any questions.